Biography: Vahid Mohammadi earned his B.Sc. in Mechanical Engineering of Biosystems at Ilam University, and got his M.Sc. at Shahrekord University. He studied at Tarbiat Modares University as a PhD student, researching novel technologies in food science and technology. His interests are machine vision, sensing systems in agriculture, ultrasonics, drying kinetics, novel food technologies, and precision agriculture. He is the reviewer of World Research Journal of Agricultural Sciences and Journal of Plant and Animal Sciences. 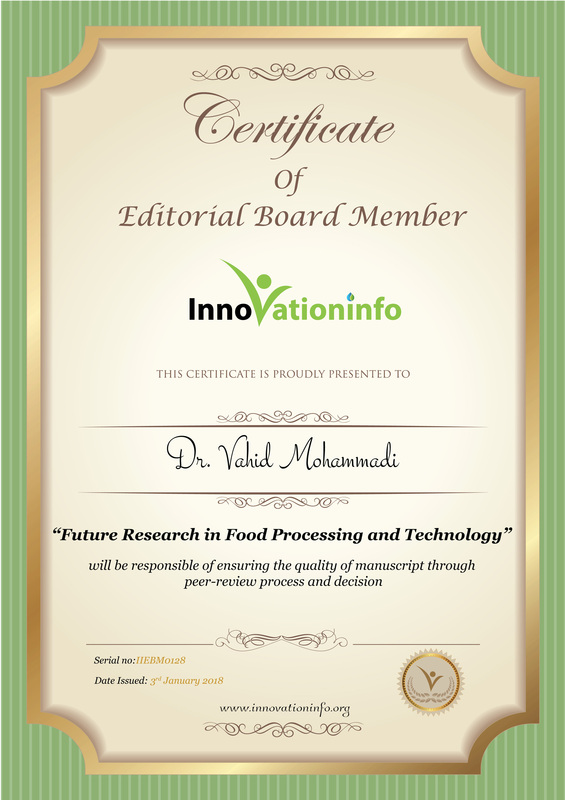 Throughout his life, Vahid has written many research and review articles in refereed scientific journals including Trends in Food Science and Technology, Measurement etc.